Coding is a new buzz word in the girl world, made popular by organizations like Girls Who Code and other technology experts like Google who point out that in our increasingly digital world coding is a very important skill. So important that Canada has declared November 7th to be National Girls Learning Code Day in Canada and online with the tagline: “Know any creative 8-13 year old girls who want to change the world?“. Why target girls? Because in technical and computing fields women are poorly represented, holding just 25% of the jobs in that field-and that’s a big deal. According to the U.S. Department of Labor by 2020 there will be 1.4 million computer specialist job openings but U.S. universities are expected to produce only enough qualified graduates to fill 29% of these jobs. We need women in this field! Women have so much creativity and insight to offer the technical and computing world, their contributions in this field could literally change our world. 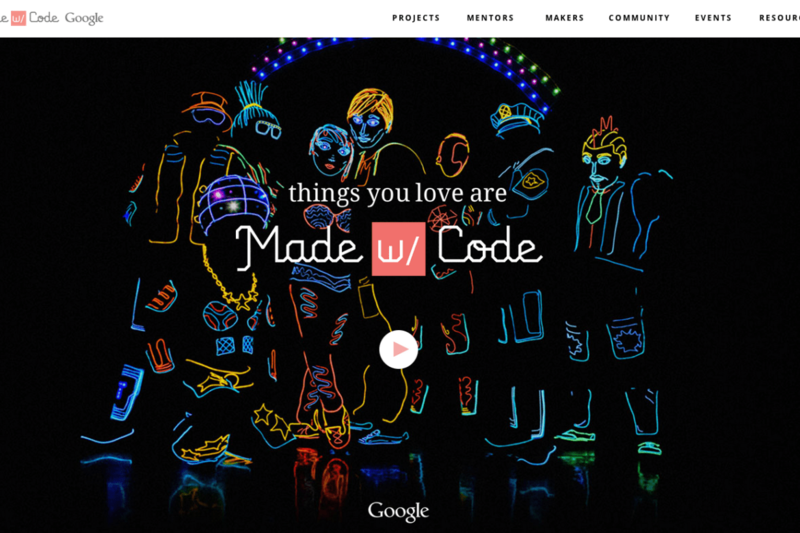 Google and Girl Scouts have created tips and tools to help you take your Girl Scouts through the Made with Code experience. There’s even a Made with Code party kit! So don’t forget to enter your information on the website and download the materials you’ll need to help you inspire the Girl Scout in your life to code! Please be sure to always use this special link from GSUSA when accessing Made with Code with your troop so Girl Scouts can reach our goal of impacting 300,000 girls through the power of code.